The chaos in Italy is driving the Euro to the key support which is around 1.15500 – 1.14600, Lowest levels since November 2017. 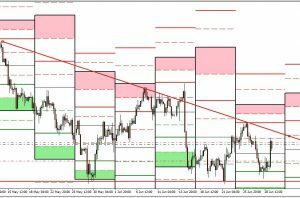 We also have the weekly take profit zone (WM1-WS2) around 1.15500 and the monthly S3 at 15.889. You can also see the stochastic at oversold levels in the Weekly, Daily and 4h charts. My plan as a Euro bull is to wait for a reversal pattern first around 1.15500 and if it breaks that, maybe start looking to 1.14500, which is a 50% Fib retracement. I graduated in History in 2013 in the BAsque Country and since then I've been learning about economics and finance on my own. I studied trading in an Academy in London in 2017 and I have been trading since then. Now I am a EUR/USD Portfolio Manager at Metatraders and a part-time trader trying to become a full-time one.